When it comes to learning about how your car works and what you can do to keep it working better for longer, there is always somebody close by to help. Whether it’s a parent, partner, or even a friend. These people are also great when it comes to looking for and buying a new car. However, their knowledge and advice are often short of anything to do with a motorbike, let alone a dirt bike, especially when it comes to dirt bike maintenance. For this reason, TenEyck Distributing has a post below on one particular aspect of dirt bike maintenance, a synthetic oil change, including why it needs to be done and its advantages. Keep reading to learn more. If you have ever heard the noise that a dirt bike makes then you have some idea of the level of stress the engine is under. 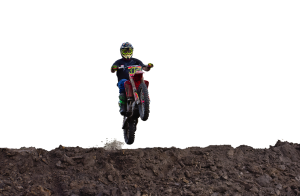 Unlike your car’s engine, your dirt bike has limited gears to choose from and the type of riding, such as bursts of speed and torque along with fast braking, makes it even harder for your engine to keep up. However, do you know what happens inside? If you were to take apart the insides of a dirt bike engine you would be left with little more than a pile of metal parts These ranges in size and shape, but all have one thing in common - they are all required to keep your engine running and your bike upright. If you have ever heard the sound which a dirt bike engine makes when you have an idea of just how fast these parts are expected to work. After all, if they aren’t pulling their weight then your bike isn’t moving. As you can imagine, any sized piece of metal which is forced to interact with another metal piece is going to generate friction. In the case of your dirt bike engine, friction equals each of these parts chipping away at each other as you ride, not only leading to a reduction in your engine performance but an increase in the need for the mechanic visit and replacement parts. Make sure that you use the right products when performing your next synthetic oil change. If you are unsure, speak with an expert at TenEyck Distributing by calling (208) 589-4660 and get the right advice. Alternatively, check out the online store for additional information on the range of high-quality AMSOIL engine oil products available. The best way to keep your friction levels low and your performance high is to use an engine fluid. This is also known an engine oil for lubrication fluid. Whatever the name is that you know it by, it serves one purpose and one purpose alone - to protect your engine parts while you ride. To do this, oil coats each of the internet engine parts with a thin, yet the powerfully protective film, working to facilitate smooth interaction and motion instead of scraping and cutting. In addition to this, the remaining fluid flows through your engine as it operates and through your fluid lines. This oil flow further helps to ensure smooth operation of your engine and maximum performance. While there is no denying that a dirt bike comes with more 'hands-on' maintenance than owning a car, you will surely agree that the benefits of owning dirtbike far outweigh any amount of effort you could be required. When it comes time to perform any type o maintenance, always be sure that you are using the best products and the right products. If you are unsure which are the right products for your engine's next synthetic oil change, call TenEyck Distributing at (208) 589-4660 and be sure that they will find the best product for your engine needs.